It’s so exciting to add another powerful virtual reality app to the list of things you can do with Google Cardboard.If you haven’t played around with Google Cardboard it is a low-cost tool to turn your smartphone into a virtual reality viewfinder. The folks at the New York Times are embracing this tool as a way to tell stories and bring news content to life – and they’ve designed a fantastic virtual reality app. The totally free NYT VR app for iOS and Android devices let viewers experience the sights and sounds of places around the world. Right now the options include standing front and center at political rallies leading up to the Iowa Caucus or at a vigil for victims of the Paris terrorist attacks. 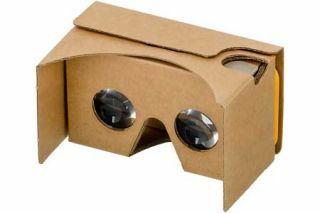 Google Cardboard is a great option for schools with access to one (or many) smartphones. Check out how the NYT virtual reality app can bring storytelling to life in your classroom!